Lent | MND GMZ MINISTRIES: Reclaiming the Rules, Finding Identity in Christ. Last year I gave up religion for Lent. Yes you read that right. You can read more about it here. This year you might think I’ve given up writing! I haven’t, I promise. I’ve simply been spending time reflecting and savoring this Lenten season. Which is why this year I didn’t give up anything for Lent, but instead, I was inspired to two friends to give away an item a day. That’s 40 items in 40 days. And with Palm Sunday and Holy Week around the corner, it’s about time to share what I’ve learned from the experience. Easter is not just a reminder of the incomprehensible sacrifice Jesus made in order to bring us back into relationship with God, but it is also an invitation to enter into the same kind of sacrifice. In Matthew 16:24, Jesus says, “If any of you wants to be my follower, you must turn from your selfish ways, take up your cross, and follow me.” What does it mean for us to “take up your cross”? The cross is a symbol of death, a means of execution. So would a modern day reading sound something like this: “If any of you wants to be my follower, you must turn from your selfish ways, strap yourself to the electric chair, and follow me.”? Or, “If any of you wants to be my follower, you must turn from your selfish ways, tie a noose around your neck, and follow me.”? And it means that just like my old sinful self must take up it’s cross and be crucified with Christ, my new saved self must stay connected with the risen Christ. Because I cannot do anything that looks even remotely Christ-like in my own power! As we approach the final week of Lent and draw closer to Calvary, may we also take up our cross, crucify our old self, grow closer to Christ, and remain connected to him so that our lives ultimately are a reflection of his loving sacrifice, mercy, forgiveness, and grace. Following Christ means serving, suffering, and ultimate sacrifice. Christ gave his life for me and that inspires a response of my life for him. And isn’t that the essence of Easter!? Discipline. I don’t know many people who like this word, well, aside from maybe the parents of toddlers. It’s a ten letter word that we tend to treat like it has only four. Discipline feels restricting, legalistic, and boring – depriving us from the adventure of life and the ability to do whatever we want to do. Deprivation. Perhaps one of the only words we like even less than discipline. But what if discipline doesn’t actually lead to deprivation at all? What if this is one of the great lies of the enemy? What if the lack of discipline is really what deprives us of the life we dream of having? The truth is that I’ve never felt more free than during the times in my life that I’ve been the most disciplined. And the truth is that lack of discipline has never led to greater excitement or fullness of life. Rather it has always led to sloth, laziness, and incredible waste of my time, talents, and resources. The “freedom” of lack of discipline seems to lead to NCIS marathons, eating entire packages of Oreos, and leaving a permanent indentation of my behind in the couch. I end up watching others live life instead of living it for myself. Still, over and over again I find myself buying into one of the greatest lies – that discipline is a drag and a stealer of joy. I don’t know about you, but I’m tired of buying into this lie. I’m ready to live according to the truth, so I’m flipping the script. I’m choosing to believe that discipline really does lead to freedom, and joy, and adventure, and blessing beyond measure. I’m choosing to follow my calling instead of my emotions. When I’m tired, I’m choosing to go on a walk instead of taking a nap. When I feel like being alone, I’m going to choose into community. When I feel like eating a dozen Oreos, I’m going to choose something healthy (or at least eat only 2 or 3). When I feel like all that matters is meeting my own selfish desires and felt needs, I’m going to choose to deny myself in order to live for Christ. I’m actually choosing deprivation – deprivation from the things that keep me from the best things. I’m depriving myself from reality television so I can go live my own God-given reality. I’m depriving myself from junk food so I can receive true nourishment. I’m depriving myself of lazy Saturdays alone in my own little world so I can receive the blessings of serving and reaching out to others. Yep, I’m flipping the script because discipline doesn’t actually lead to deprivation, at least not the kind that we think it does. And isn’t this really what Lent and the Easter season are all about? The truth is that discipline leads to deprivation of the things that actually harm us and leads to freedom to pursue that which is best for us. Discipline is a gift from God actually. It’s a gift that leads to holiness. Holiness is greater than any indulgence we think we need or deserve. And what about those days when discipline feels like an impossible task to achieve? Like making the choice to follow God seems nearly impossible? 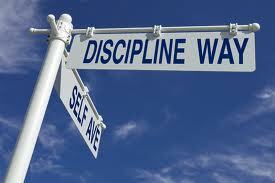 When we think of the word “discipline” we tend to think of being punished as a small child. First of all, discipline from God is important to receive with an open and humble spirit. However, more often discipline is really about self-control and obedience. 1 Peter 1:13-16 says, “So think clearly and exercise self-control. Look forward to the gracious salvation that will come to you when Jesus Christ is revealed to the world. So you must live as God’s obedient children. Don’t slip back into your old ways of living to satisfy your own desires. You didn’t know any better then. But now you must be holy in everything you do, just as God who chose you is holy. For the Scriptures say, ‘You must be holy because I am holy.’” And if God commands us to be holy, then we are capable of living out that command. The trick? We can only do it in His strength, never in our own. As God’s chosen children, we must obey His commands, demonstrate the self-control to choose discipline, and ask our Father for help when we are weak. 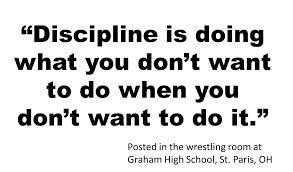 The great UCLA basketball coach John Wooden said, “Discipline yourself so others don’t have to.” Choosing into discipline that looks like obedience and self-control prevents the discipline of God humbling and teaching. But even when we need that kind of discipline, it is out of a love relationship. With God it is always about relationship. And that’s DEFINITELY the message of Easter – the great lengths God went to in order to restore relationship with us! I spent nearly every summer of my youth on a softball diamond. 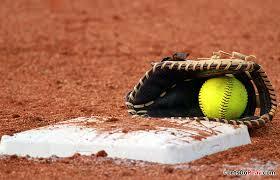 Sports, especially softball, is a wonderful teacher of life lessons. I learned about teamwork, respect, the power of believing in yourself, winning, losing, hard work, humility, sacrifice, and pain. Yes, I learned a lot about pain! Most people are “playing hurt” by the end of the season, but I also witnessed my fair share of season ending injuries. One such injury happened on an otherwise routine play at the plate. I was playing first base and my friend, Megan, was pitching. After a wild pitch, Megan ran to cover home plate in an attempt to prevent the runner at third, now charging down the line, from scoring. 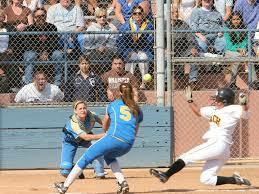 Unfortunately, she set her feet incorrectly and as the runner slid into home, instead of sliding between Megan’s feet, she slid right UP Megan’s right leg, now blocking the way to the plate. Playing first base meant I had rotated to the pitcher’s mound and had a front row view of the metal cleat slicing through Megan’s uniform and driving up her calf. However, the strangest thing happened. This gruesome injury didn’t bleed! Not one drop hit the ground or shown through onto her white uniform pants. It seemed that as the runner slid into Megan’s leg, her body drug an abundance of dirt with her than packed the fresh wound. Gross, I know… but there are many lessons about healing emotionally in this story. When emotional wounds happen, there are three main ways we can respond. One, we can stuff the pain and pretend everything is fine. Like the dirt that filled my friend’s wound, we stuff the wound with busyness, alcohol use, good grades, or anything else we can think of to try to stop the bleeding. And it does stop the bleeding, but it doesn’t lead to healing. Eventually the dirt needs to be cleaned out for the wound to truly heal. Sometimes we get stuck in the hurt and believe that everything is wrong. We take on a victim mentality and are no longer able to see anything good happening in life. Like a child with a cut, we want everyone to see our injury, but we don’t trust anyone to touch it. Our wound becomes our identity and does get people to tend to and care for us, but again, the wound does not heal. There is a healthy response. We can share the hurt with God and with others. There are four steps to sharing our pain. First, name the pain. When Jesus passed by, those in need of healing cried out over the bustling crowd to get Jesus’ attention. They were often scoffed at and told to be quiet, but they were desperate and yelled all the louder. They acknowledged that they had pain and that they needed healing. Second, acknowledge Jesus is the only place to received true healing. Before performing a miracle, Jesus often asked the person, “What do you want?” What a strange question! Certainly Jesus knows that a blind man wants to see or a lame person wants to walk! 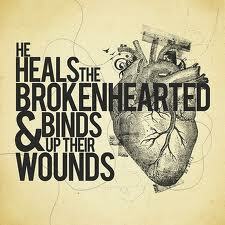 Jesus wanted the person in need of healing to acknowledge that he alone is the source of true healing. When we are in pain, we don’t just need healing, we need Jesus. Third, receive Jesus’ healing touch. In 21 of 34 recorded miracles, Jesus touches the person he heals. Allow Jesus to draw close enough to your woundedness and pain that he can touch you. Give him access to the darkest, deepest and most painful parts of the wound. Allow his loving and gentle touch to bring a kind of healing that you could never imagine. This is no easy process. Healing hurts. We know and accept this when it applies to physical wounds. Everyone has experienced the sting of cleaning out a wound and know that it typically hurts worse than getting the wound in the first place. Anyone who has had surgery knows that recovery hurts worse than the injury itself. Physical therapy is often slow and painful. But there is healing in the hurt. Emotional wounds are no different. They need to be cleaned out and bandaged and tended to in order to heal properly. Yes, healing hurts, but it also makes us stronger and draws us closer to God. My prayer is that during this Lenten season, you will find the strength to share your wounds with Jesus, the provider of true healing. It may hurt, but the hurt is worth it.